Ken is president of Realty Solutions Title, Inc. He received a B.A. from Vanderbilt University in 1968 and a J.D. from Vanderbilt University School of Law in 1972. He received a M.B.A. from Belmont University in 1990 and then served for ten years as an adjunct professor of business law in the M.B.A. program. 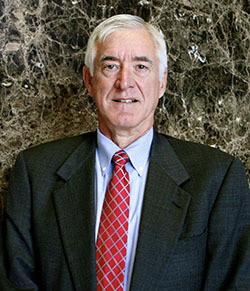 Ken is a partner in Campbell Law Solutions and has been engaged in the practice of law for 41 years. In his practice, he primarily assists businesses and their owners with business, lending, real estate, taxation and estate planning issues. He represents banks and mortgage lenders in real estate and commercial lending matters. His clients include Pinnacle Bank in Nashville. Among his other practice areas are specialized litigation, in the real estate, tax and business areas. He combines his real estate and taxation knowledge by being a speaker at seminars on like-kind exchanges. He also is a frequent speaker at seminars on real estate law and on title insurance. Lee Ann is vice president of Realty Solutions Title, Inc. She received a B.S. in Business Administration from Auburn University in 1995 and a J.D. from Pepperdine University School of Law in 2004. She earned a Certificate in Dispute Resolution from the Straus Institute in 2004. 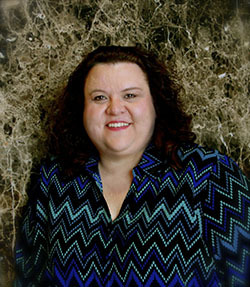 Lee Ann is a partner in Campbell Law Solutions and has been practicing law for eight years. She assists clients with business and real estate matters, contracts, commercial lending transactions and estate planning. She represents banks and mortgage lenders in real estate and commercial lending matters. 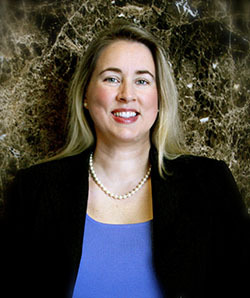 Lee Ann has handled litigation in business related areas, including matters in chancery, circuit and probate courts in Tennessee. The subject matters of these cases include real estate contract disputes, boundary line disputes, non-compete contract disputes, title insurance claims, conservatorships and will contests. Prior to studying law, Lee Ann worked for an Atlanta real estate law firm where she managed the preparation of all residential closings, in addition to marketing the firm and its title company. She currently handles both residential and commercial closings at Realty Solutions Title. Kim has been a legal assistant to Kenneth L. Campbell for over 30 years working closely with him in all aspects of his law practice, including commercial and residential real estate transactions; like-kind exchanges; individual, corporate and fiduciary income tax return preparation; corporate matters, including articles of organization, charters, by-laws, minutes, operating agreements, stockholder agreements, stock purchase agreements, promissory notes, partnership agreements, stock certificates, non-solicitation agreements and corporate lease agreements; and estate planning and probate, including wills, living wills, trust agreements and powers of attorney for business and healthcare. Kim also served as the building manager and leasing agent for the historic Spring Court Building that once was home to the law firm.